Remember how I told you about my secret hobby as a sweeper? Even with an increasingly busy schedule, I make time to enter sweepstakes for about 20 minutes each day. My efforts have definitely paid off; in the past four months, I have won a video camera, books, and an iPad 2 — all from Facebook promotions! Like most other kinds of sweepstakes, you can’t win if you don’t play. 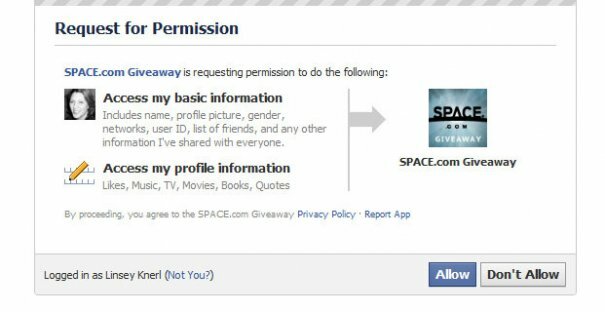 However, there are some unique aspects of Facebook sweepstakes that are important to note if you're going to participate. Many of the better giveaways can be found with the same tactics used to track down other promotions. (Read more on how to find blog giveaways.) Because Facebook promotions aren’t as heavily advertised, however, and the entry time can be much shorter (both increasing your winning odds), you will need to use some extra resources to find them. The best way to find most is through the WildFire App website. It will have all of the promotions running with that app (the most popular at this time), and you can sort by sweepstakes or contests, as well as ending time. Also, since many Facebook giveaways are for local businesses, you can pay less than $30 for membership to a site like Sweetie’s Secret Sweeps, and it will list promotions specific to your state, only. Since many of the rules for promoting and running a giveaway on Facebook have changed recently, there is a bit of confusion on how to enter successfully. Many believe that asking entrants to “Like” the company’s fan page as a requirement for entry is illegal. Actually, you can require it, but it can’t be the sole method of entry; they would still need to fill out some kind of form. Also, companies aren’t supposed to have you comment or post on a wall for the sole method of entry; they are encouraged to use reliable third-party promotional applications to take your info. (Why is this important? Many entrants mistakenly forget to “Like” a company when entering a giveaway, but companies are allowed to choose a winner only from fans. This means that if you skip this important step, you’re entry won’t count!) To find out what is required of you to submit a legitimate entry, read the official rules for all Facebook sweepstakes. Remember that many entrants have skipped the “Like” step — making your odds even better. Because Facebook is all about the social aspect, it seems to have a higher-than-average percentage of contests on the site. (Contests are giveaways that require some level of engagement, like submitting a photo or essay, and then has voting or judging to determine a winner. Sweepstakes, on the other hand, are completely random. This means that if you aren’t a fan of having to ask friends to vote, or you aren’t particularly creative, you might not do as well. For those who want to enter purely as a numbers game, sweepstakes — or those promotions that are completely random — are for you. If you have a large social circle and are a talented photographer, for example, contests may be more your thing. Per the terms of Facebook, companies cannot use Facebook to tell you that you’ve won. Assuming that you filled out the entry form correctly, they should have some other method to contact you (email, phone, etc.). This means that you don’t have to keep checking your Facebook wall or messages to make sure that you didn’t miss a big win. You should find out in a more reliable way. 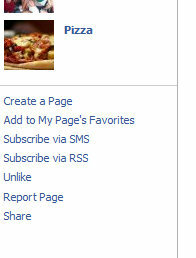 Once you have “Liked” a company and proceed to enter, you will be prompted to allow Facebook to access your information. This won’t share anything with your friends, or even post anything to your wall. It is the only way to proceed with the giveaway, however, so make sure you hit “Allow” for your entry to continue. Upon submitting their sweepstakes form, there is usually a small checkmark at the bottom that says “post to wall”. You can always uncheck this if you don’t want your wall cluttered with hundreds of giveaway notifications. One final piece of advice I can give regarding Facebook giveaways is to get in while the action is hot. Facebook is still a relatively new way to promote sweepstakes, and so the competition isn’t nearly as stiff as more traditional methods of entry (online forms at a sponsor’s site, blog giveaways, Twitter parties, or mail-ins). Even if you don’t use Facebook to communicate with friends and family, I recommend setting up an account with stiff privacy settings for the sole purpose of entering to win! Have you won anything cool on Facebook? Does Wildfire cost to use? I won a $100 gift card to Willie's Icehouse, on facebook.